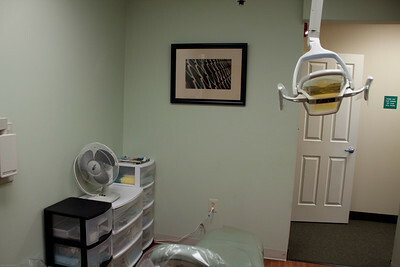 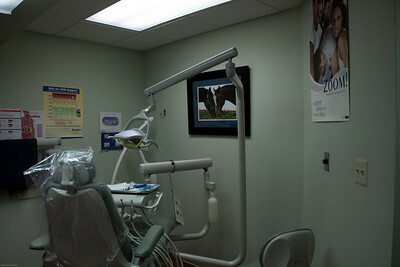 My dental office had some unfinished walls with exposed plugs and openings for eventually hanging TV's, but it's not in the budget for now. 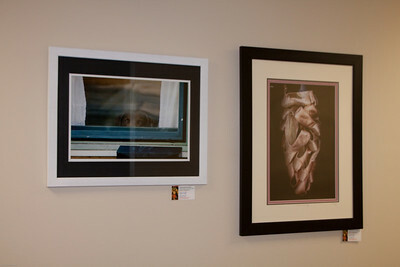 I was invited to hang some of my photography so it is, I guess, my first official Photo Art Exhibit. 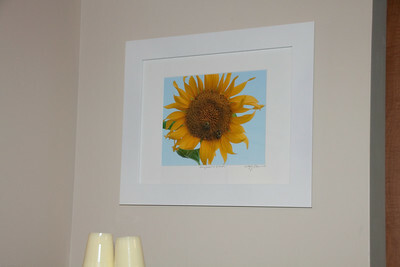 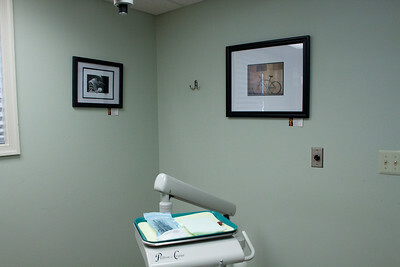 These are photos of what I have printed,, framed and hung in our office. 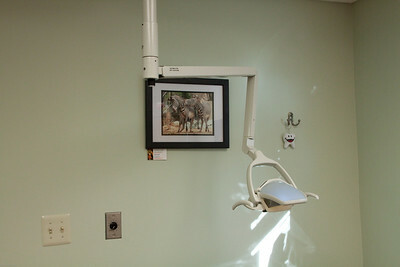 Framed-0919 Cheryl's hygien room. 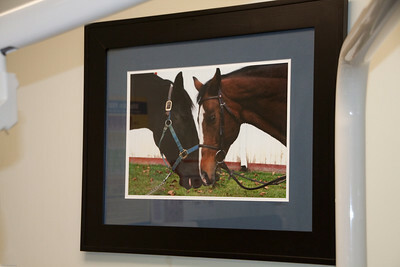 "Jack and Cowboy"
This is what the walls look like under the framed photos in the operatories. 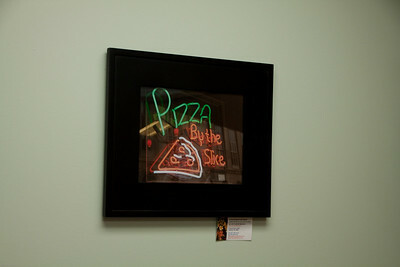 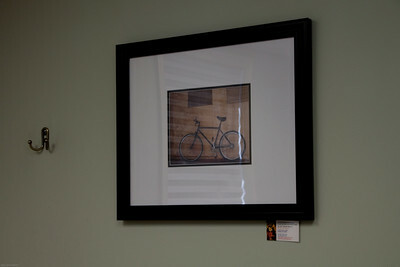 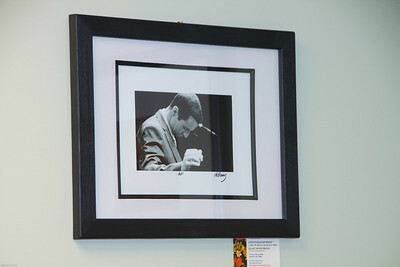 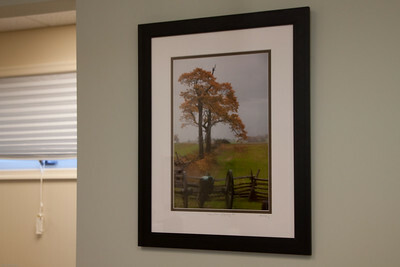 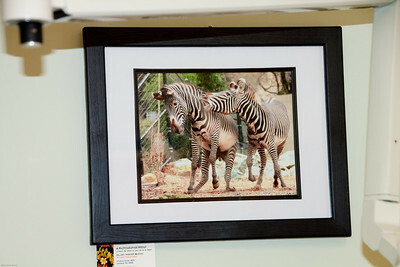 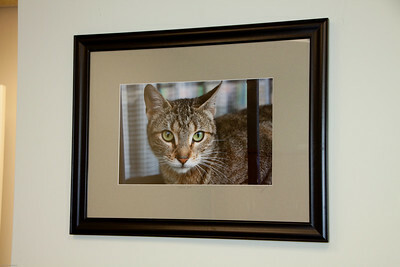 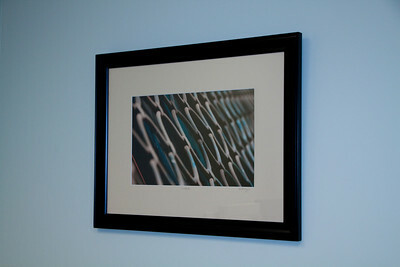 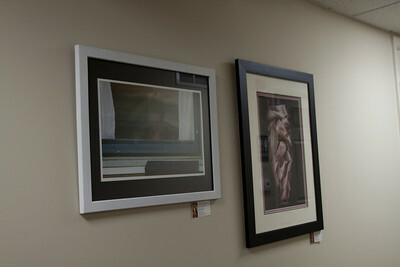 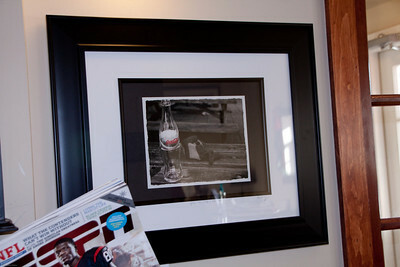 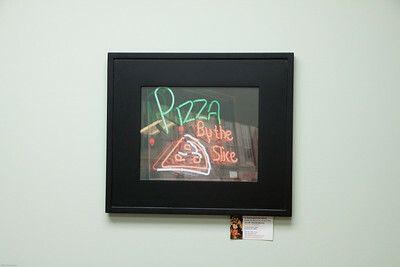 A few were hung in the reception area and hallway, but this was the initial reason for my bringing in my photography. 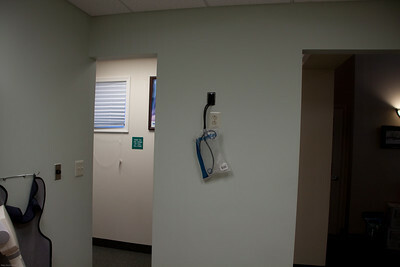 We have to figure out how to stuff this cord into the wall so I can hang something on this wall, too!